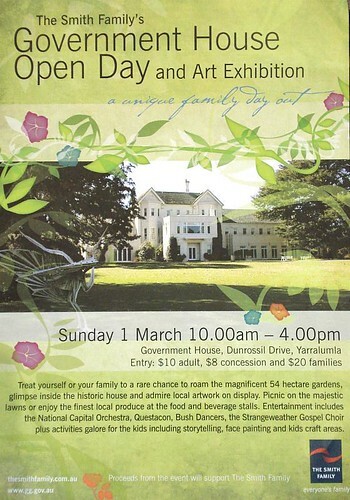 I’ll be exhibiting and selling some of my work at the Government House Open Day next Sunday March 1st. If you are in the area, stop on by. It should be a good day! I’ll have alot of my “fine art” pieces on display, as well as selling smaller pieces. 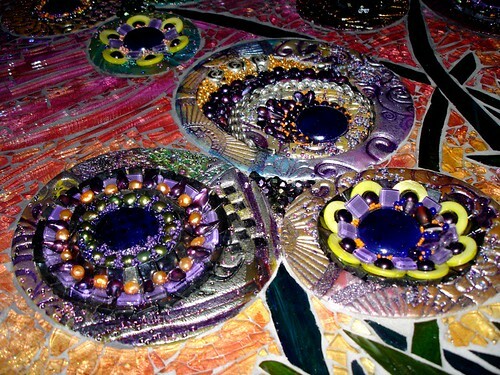 I also have a shipment of one of a kind polymer clay jewellery by esteemed Californina artist, Susan Crocenzi. Come along, peruse, be inspired and support a good cause (proceeds from the event support the Smith Family). 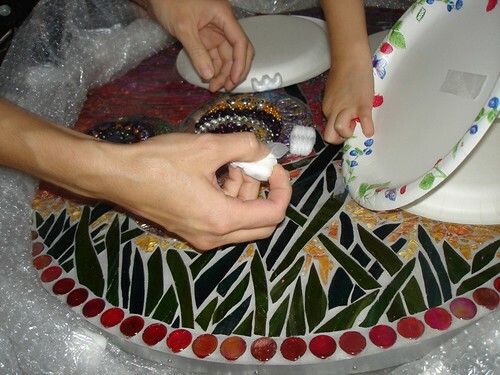 Slow day at work today… Catching up on emails and organising a trip to the US when I get an email from Susan saying the mosaic arrived at my house!!! (We made a trade, remember?!). Thinking to myself how hilarious that she would know this before me, the realisation that it was here, actually here started to dawn on me. I immediately left work. I only had an hour to go – the post office was going to close and it would take me a good 30 minutes to get home, pick up the postie’s card and drive to the post office to get it. So off I went. Weaving in and out of traffic trying to go as fast as I could (I drive a Volvo station wagon!!!). 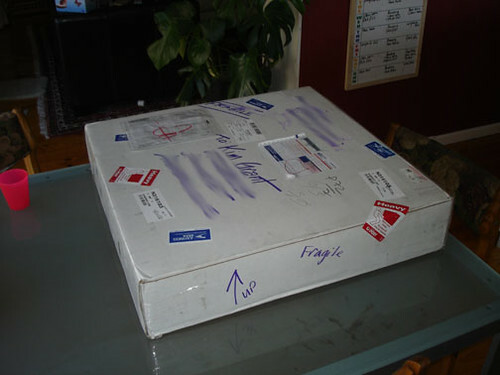 Getting more and more excited… I finally arrived and picked up this ha-uge box. It only just fit into the back of my car. Quick, get the boys. Quick pick up Molly… Get home, where’s the scissors? Dang this thing has been packed well… Liam was snapping away the whole time (thanks sweet-art). Me behaving like a manic. It’s here. It’s gorgeous. I love it. Thank you Susan… It’s just perfect. Molly was mesmerised, the boys were impressed. Now I need to do it justice and find the right spot to hang it in. 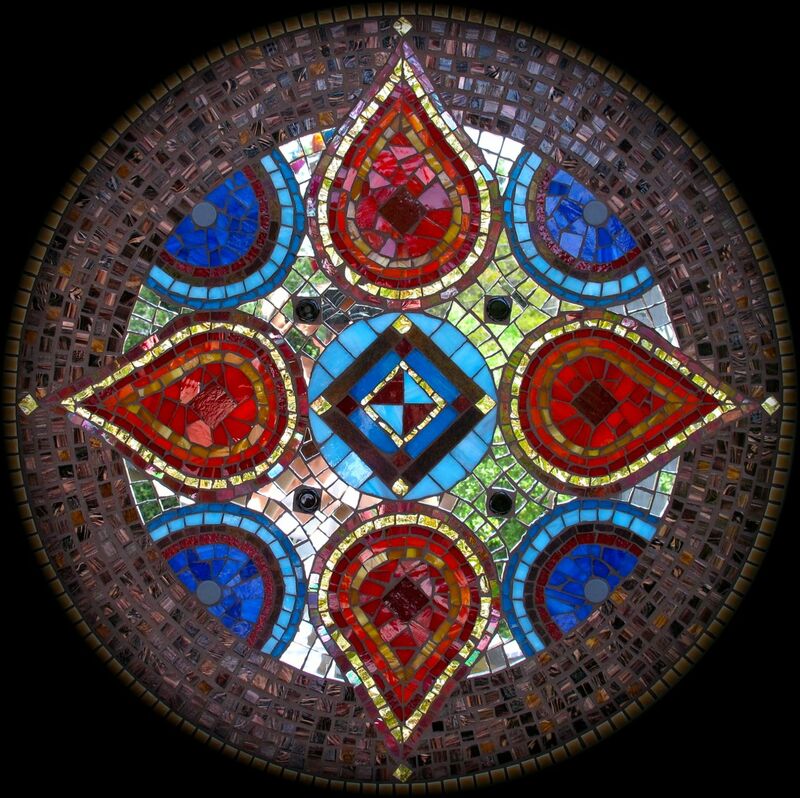 Well I have just finished making a website for a Mosaic Artist/Flickr Friend, who was also featured in the Artist Watch Series – Susan Crocenzi. So fun to make and always get a good chuckle that we can be on other sides of the World and still make this happen (yes, I still am very enamoured by the internet and don’t take it for granted!!!). I love her work so we’ve done a trade on this and I can’t waaaaiiiiiit to see what she has made me. All I do know is that it is a wall hanging. I did request round… I’m completely in love with her polymer clay tiles and she posted a WIP of the piece, aptly titled Crossroads. Here it is, aren’t the polymer clay tiles ammmmaaaazing!? Here’s what I did for her… Check it out!!! Was a lot of fun to make. I’m no website design genius because I am self taught. 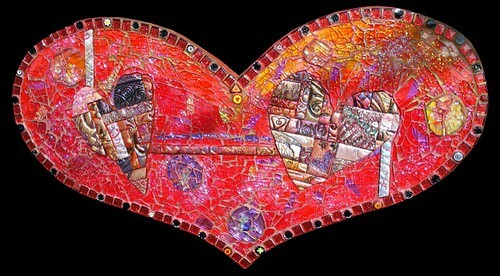 This was the first mosaic site I made, other than my own. It was so great to see her pieces in this context, piecing it all together, making her already dramatic looking pieces, moreso! Anyway, you all should go look at her website. Her work is gorgeous – did I say that already?! 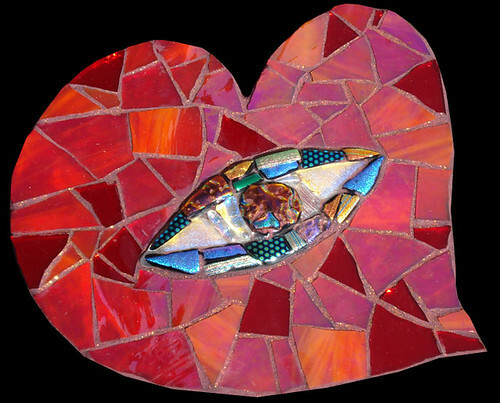 I’ve decided to start a series of other mosaic artists that inspire me. I thought I’d start with Susan Crocenzi, aka sucra88. I found her through Flickr (good ol’ flickr!!!) and instantly fell in love with what I saw. It was an extreme ooh & aah session (and a few laughing moments) going through her photostream. I really like what she does. It’s very different, I think, to what I’ve been seeing lately and also I look at it and DON’T think: “I could do that”, so of course it’s very inspiring! Plus, she’s really nice and very funny and very interesting!!! 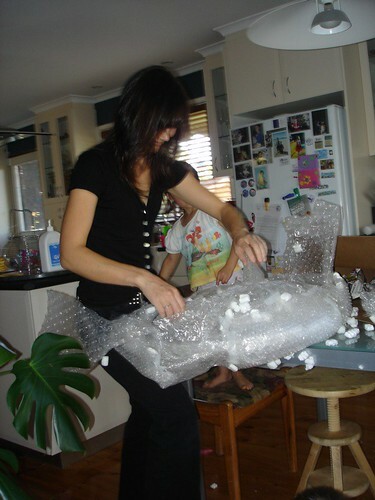 Susan seems to work alot with tempered glass, something I havn’t yet quite got my head around. I’ve used it in Kashmir before, with an indian silk underneath but it just didn’t quite have the same effect. Susan’s love and study of art began early. She won a haiku contest about bunnies in fourth grade and years later managed to have three art classes her senior year of high school. 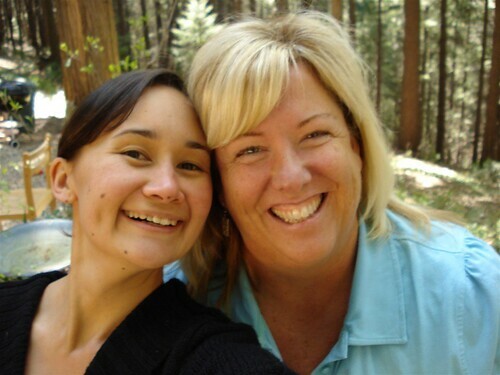 After graduating from Chico State in 1987, she spent the next thirteen years teaching middle school English. 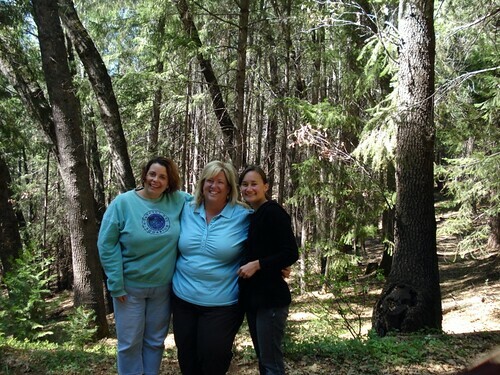 Being a teacher was the most difficult, joyous and significant accomplishment of her life. There are a lot of them scrunched into a very small space. They’re lovely, each in his/her/its own way. Tesserae don’t love you like kids do. 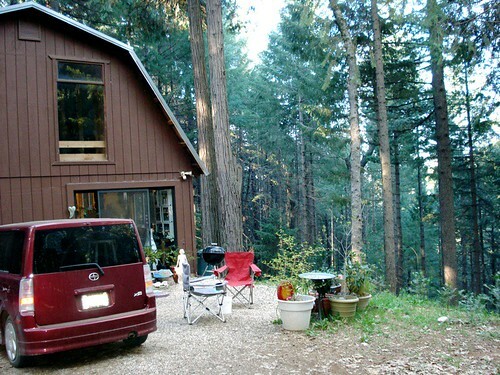 Now she lives and creates in a (very quiet) cabin in the woods of the California Sierra Foothills. 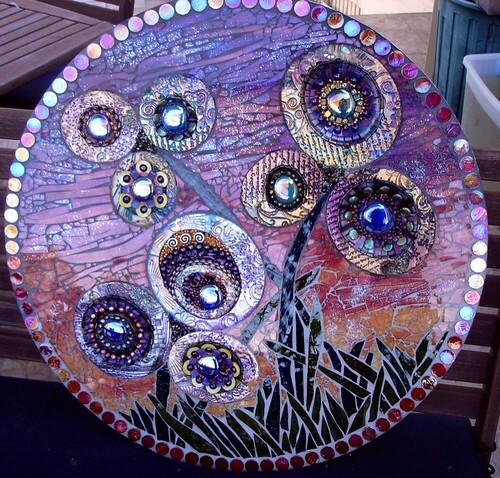 As a kayaker, hiker, and gardener, her work is most influenced by nature, as well as poetry, and others’ mosaics. 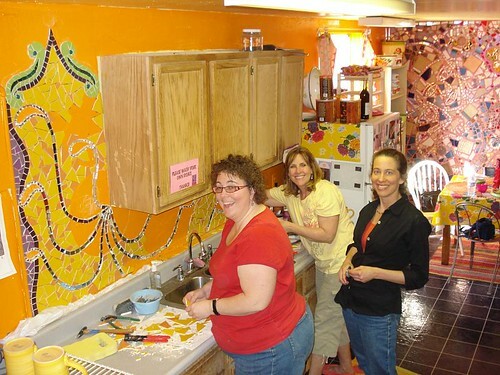 Susan has studied under several esteemed mosaic artists including Laurel True, Ellen Blakeley, Sonia King, and Jenny Iams-McGuire. 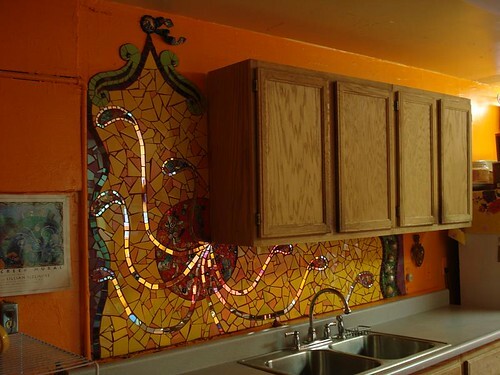 She has studied the mosaics of many countries, including Turkey, Spain, and Mexico. 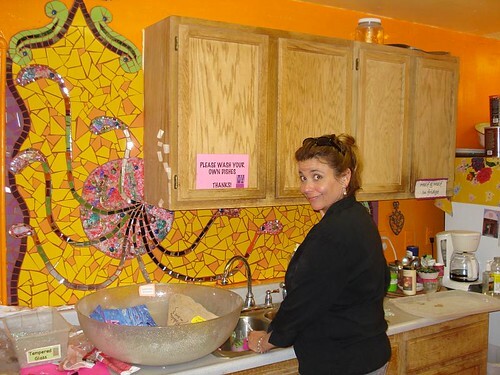 She is a member of the Society of American Mosaic Artists, and Mosaic Artists Online. Arcetri originally uploaded by sucra88 – I think this one, so far, is my all time favourite. I love this one!!! Aren’t these stairs amazing?! 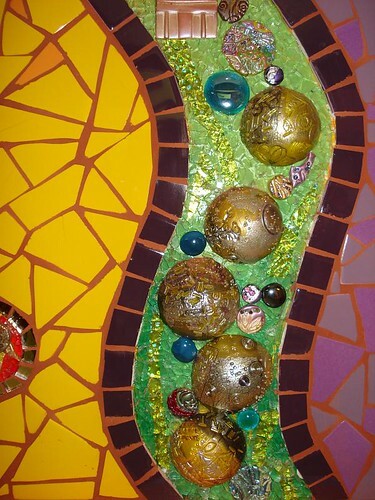 They were made by Colette Crutcher & Aileen Barr a few years back now. Check out more pics in Susan’s staircase set.